It’s the triumphant return of the best Draven player in North America. Following the seemingly miraculous unbanning of the infamous Tyler “Tyler1” Steinkamp from League of Legends last week, the former “most toxic player NA” will be streaming the game on his Twitch channel today at 3pm CT, according to his Twitter announcement last week. 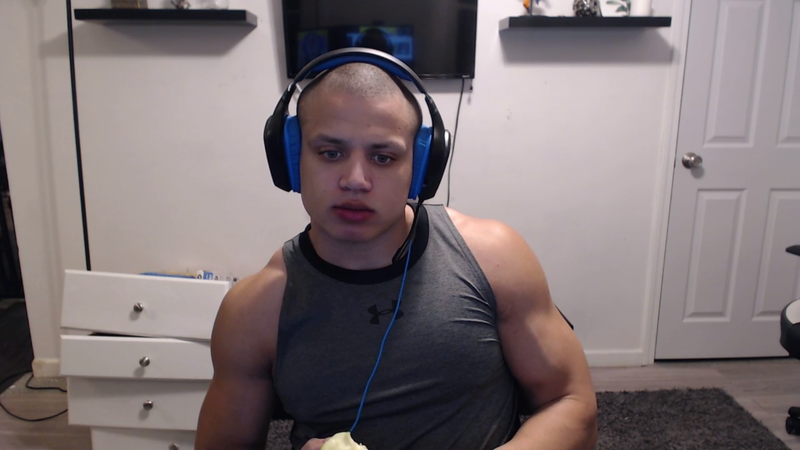 Tyler1 was indefinitely banned from League in the spring of 2016, so it’s been the better part of two years since he’s walked on Summoner’s Rift as a free man. Of course, he’s tried on numerous alternate accounts to play and stream the game since then, but ultimately, Riot weeded them all out and banned them, too. So, apparently, all of the calls to #FreeTyler1—in Twitch stream chats, on the game’s Reddit community, and pretty much anywhere else that League fans gathered—may have actually worked. Of course, it’s more realistic that he’s back because he stopped trying to get around Riot’s ban and switched his online persona from one of toxicity to one of reform (at least publicly), but that’s beside the point. For those of you that weren’t around during the reign of Tyler1, he’s a Draven main that used his unparalleled levels of trolling and raging to amass a rather toxic community of followers (and a big ol’ pile of salt). Now that he’s back, his fans couldn’t be happier, but we imagine Riot will have him under close watch. If he wants to stick around this time, he’ll have to keep the toxicity in check, especially if his opponent runs out of mana.